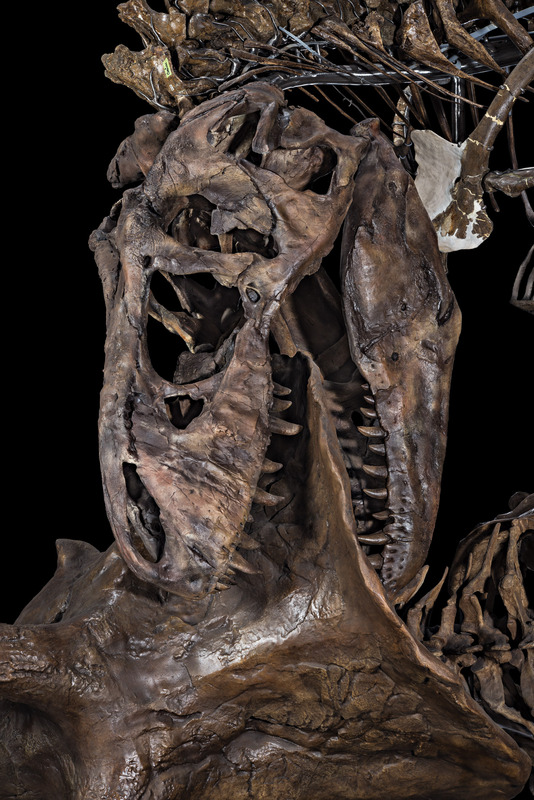 The Smithsonian’s National Museum of Natural History has announced that the Nation’s T. rex has returned to the museum where it will be the centerpiece of the new 31,000-square-foot fossil hall opening June 8, 2019. 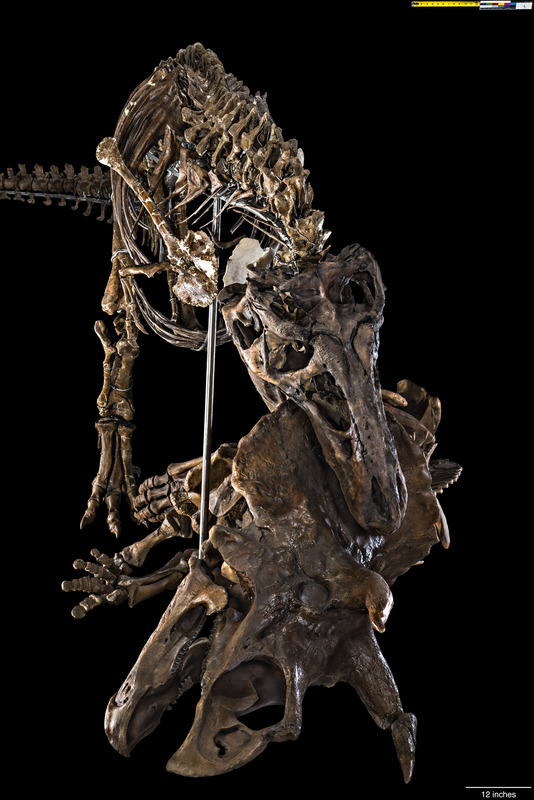 The Tyrannosaurus rex skeleton will be featured in the reopened hall alongside more than 700 specimens, including dinosaurs, plants, animals and insects, some never before displayed at the National Museum of Natural History. The exhibition will depict a journey through time of more than 3.7 billion years of life on Earth. Visitors will discover their impact on life’s story as it plays out today and their role in shaping its future. The new hall will be called The David H. Koch Hall of Fossils—Deep Time, in recognition of a $35 million gift from David H. Koch, the largest single donation in the history of the museum. When the fossil hall closed in 2014 for renovations, all specimens on display were removed for conservation and study by Smithsonian scientists. 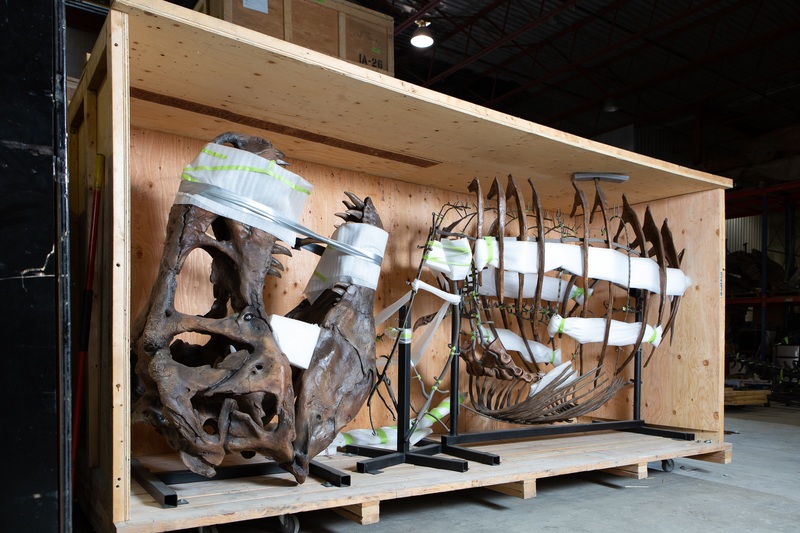 Several spectacular dinosaur fossils from the hall were disassembled and taken to Research Casting International in Ontario, Canada, where they were repositioned into dramatic, new and more scientifically accurate poses. 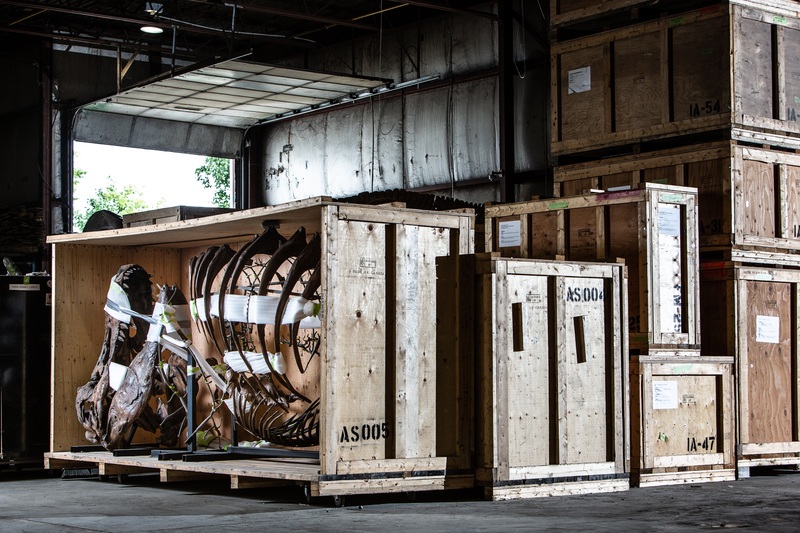 Those fossils, including the T. rex, which is on loan to the Smithsonian for 50 years from the U.S. Army Corps of Engineers, are being transported back to the museum for permanent installation in the new hall in a specially branded FedEx Custom Critical truck. The delivery is part of the company’s FedEx Cares “Delivering for Good” initiative. Human history is only a tiny fraction of Earth’s history. “Deep time” is thinking about Earth’s past in terms of millions and billions of years to understand the events that shaped the planet and the species that live on it. Exploring Earth’s deep past will help people understand the world today and plan a sustainable future. All life is connected—past, present and future—to all other life and to the Earth itself. Evolution: Life is continually changing through time. Ecosystems Change: Ecosystems changed through time and continue to do so. Earth Processes: Geological processes and global cycles cause ecosystem and evolutionary changes. Extinction: Mass extinctions have both periodically devastated and created new opportunities for life on Earth. Background extinctions occur one or a few at a time, scattered across the tree of life. Extinction of some species opens up opportunities for others to evolve. Human Connections: Humans, today’s world and the plants and animals people depend upon have intimate connections to deep time. Age of Humans and Global Change: Now, more than ever before, people are influencing life on Earth on the scale of geologic forces from the past. Humans are not only shaping the future but also the fate of life on Earth. Creating the new fossil hall involved the largest building renovation in the museum’s history. Interior walls that had been put into place during the past century were removed, structural columns were relocated, all electrical and mechanical systems were updated and windows and skylights were replaced to allow natural light to permeate the hall. In addition, spaces on the ground floor below, the substation in the basement and up to the building attics required infrastructure renovations and upgrades to make way for the dinosaurs. The project cost $125 million. The National Museum of Natural History is connecting people everywhere with Earth’s unfolding story. It is one of the most visited natural history museums in the world. Opened in 1910, the museum is dedicated to maintaining and preserving the world’s most extensive collection of natural history specimens and human artifacts. The museum is open daily from 10 a.m. to 5:30 p.m. (closed Dec. 25). Admission is free. For more information, visit the museum on its website and on Facebook and Twitter. 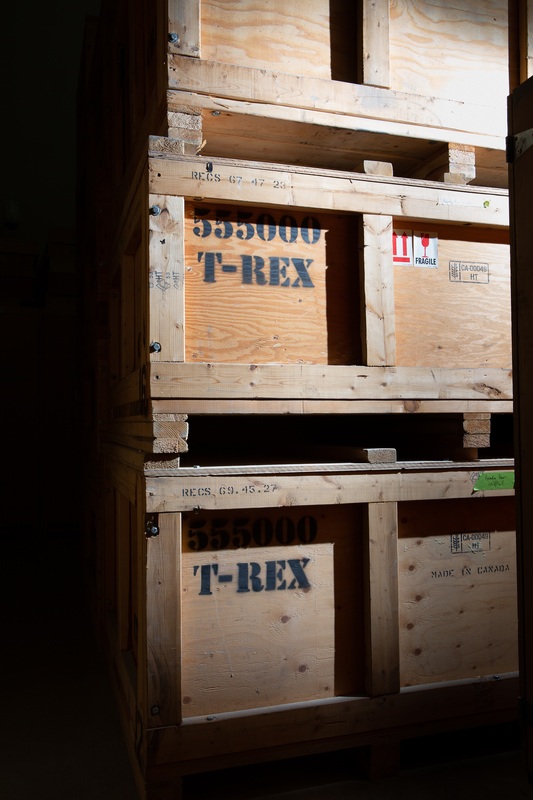 When the fossil hall closed in 2014 for renovations, all specimens on display were removed for conservation and study by Smithsonian scientists. In its time, Tyrannosaurus was the largest meat eater in western North America. It feasted on dinosaurs large and small, including plant eaters like the Triceratops. Few—if any—animals could take down a healthy, adult Tyrannosaurus.